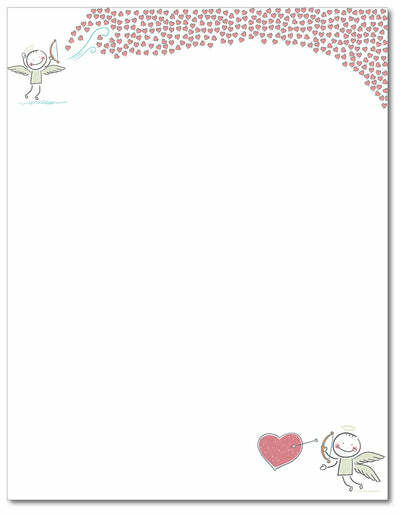 Bow and Arrow Heart of Love is a classic Valentine's Day letterhead that features two cupid angels and multiple pink hearts on the top and bottom of the design. Perfect for making flyers or invitations for Veterans, Military, or any American Patriotic event! This stationery measures 8 1/2" x 11" and is made on a 60lb Text paper that is inkjet & laser printer compatible, acid & lignen free.